Elon's DPT program is built on science and research, with compassion and respect for patients emphasized throughout the three-year experience. Key features include an innovative modular curriculum, world class facilities, accessible faculty, partnerships with the surrounding medical community and a focus on international and domestic service. One hundred percent of Elon’s 14 full-time DPT faculty members hold doctoral degrees. 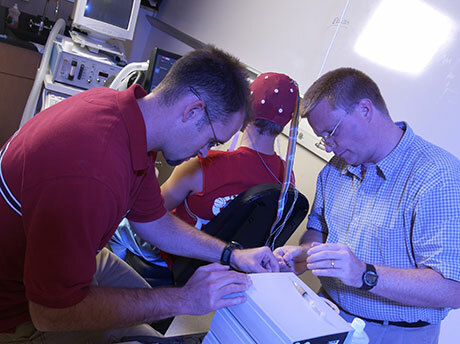 DPT students work side-by-side with their professors and partner with them on research. DPT faculty discuss their work with Elon's BrainCARE initiative, an ongoing program investigating the impact of concussions. "Some people might accept the hand they've been dealt. I've accepted it, but I want to change it. 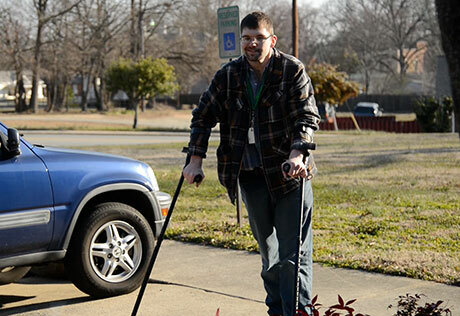 Jeremy Gates was comatose for three months following a 2006 car wreck. Under the direction of Jane Freund, associate professor of physical therapy education, he has been undergoing physical therapy with Elon DPT students and ARMC staff since late 2007. 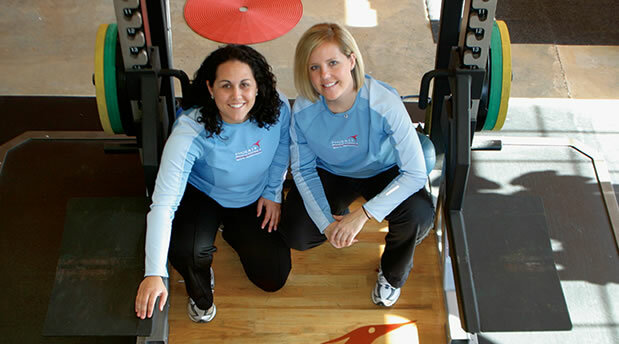 Tatum Robinson, a physical therapy graduate, and Lisa Ciaravella, an Elon alumna, opened Phoenix Physical Therapy and Sports Performance in 2006. "We specialize in orthopedics, but we work to fit the needs of our community; we see everyone from quadriplegic patients to high school athletes," Tatum says. One hundred percent of Elon's DPT graduates find jobs after graduation. 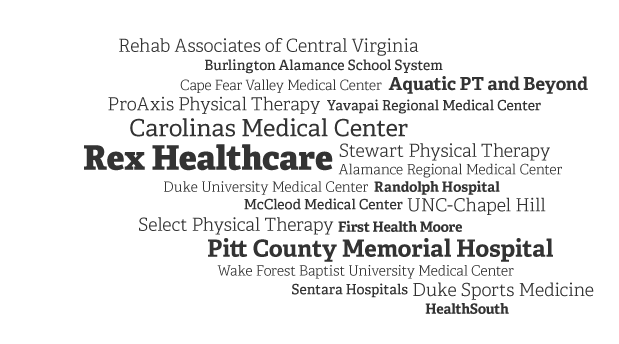 The job market for physical therapists continues to expand. 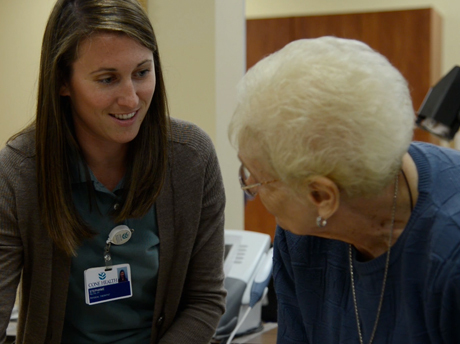 Alumni work in private practice, outpatient rehabilitation centers, schools, hospitals, home health care services and nursing care facilities. Elon’s three-year, full-time Doctor of Physical Therapy program emphasizes a patient-centered approach to the profession. The program, which begins in January, immerses students in science and research while teaching them the value of respect and communication. Forty-eight weeks of hands-on clinical practicums reinforce the solid academics taught in the classroom. One hundred percent of Elon DPT students find employment after graduation. Elon University Doctor of Physical Therapy Program students volunteered with the Orthotic & Prosthetic Activities Foundation to help make people with amputation, spinal cord injury and other physical challenges comfortable around water. The meeting was held Jan. 23-26 in Washington, D.C., with 17,000 people attending.